In case you haven’t already heard, today, the 26th of June, is System Administrator Appreciation Day! To celebrate in style, we sat down and had a chat with our very own Junior Systems Administrator, Michael “Radar” Raeder! Read on to find out just what a day at Turbosquid is like for someone in his position and a bit about his exciting, globetrotting, experiences as a life-long musician! First of all, is there a story behind your nickname “Radar”or did you just adopt it because it sounds so similar to your last name? Well, yeah, a little bit of both. It started out based on my last name, and then I took it as a handle in high school when I ran a pirate radio station out of my Pinto station wagon. We would set up and broadcast a couple hours a day out of a park in LA. People would leave song requests for us in a locker. Do you have a favorite memory from your DJ days? Yeah, someone kept requesting to hear speed metal, so we would just play Led Zeppelin’s “Stairway to Heaven” on 45 or 78 rpm every time. As our Junior System Administrator, what do you do on an average day? I set up servers, add users, and secure everything to keep the bad guys out. I write programs to automate things, write programs to amuse myself, and if something is not working, I make it work. There’s really no typical day. In addition to working as a Sys Admin, we hear that you’ve had quite the career as a musician. Care to tell us a bit? I have a lot of great memories. 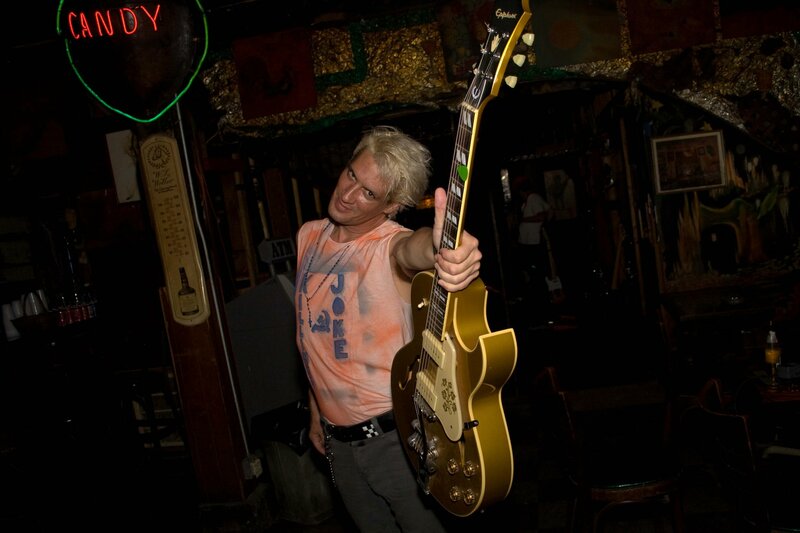 I’ve played literally thousands of shows since I was 9 years old. I’ve mostly played guitar in rock bands, but I also occasionally play accordion, slide guitar and have even played percussion for zydeco groups. What’s your fondest memory from performing or touring? Probably the most memorable one was when I was playing with a Cajun band in Quebec City, at an outdoor music festival. This was during the time when Quebec wanted to separate from Canada. We had one song on our set list called “Reveille,” which means “Awaken”. The translation to the beginning of the lyrics is something like “arise, arise, men of Acadiana, raise your guns against the English”. The singer really wanted to do this, and I told him it was a bad idea. Sure enough, we do the song, and a riot breaks out. There are literally between five and seven thousand people going nuts, tearing things up. The police came on stage, told us to grab whatever we could, and forced us onto a bus . So, I carried two guitars, a couple of pedals, and got in. As we were exiting the fairground, the fence over on this one side fell over, and all these rioters came directly for our bus and proceeded to rock the vehicle back and forth. Then, from the other side, riot police started shooting tear gas and dispersing the mob. We were able to eventually get back to our hotel and berated the singer the whole ride over. Word around the water-cooler is that you are a bit of a Russophile. What sparked this interest? I got to visit East Germany when I was really young. Just seeing the artwork, propaganda, and uniforms– they had a certain aesthetic that really caught my eye. If I see anything reasonably priced, I tend to buy it. I have a belt with the East German logo, for example. I also love the absurdities of the Soviet Union, how they tell a factory, “You have to produce 16,000 pairs of shoes,” and they would follow it to the letter… they would make 32,000 left foot shoes, all of which would be the same size. Do you have a favorite model on TS? I do. 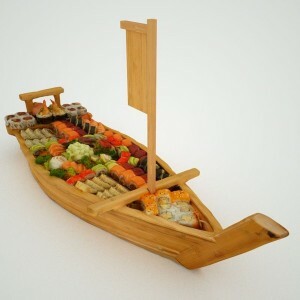 I’d have to say artist markflorquin’s Titanic Sushi Boat 3D model. I was just really hungry and craving some sushi. Unfortunately, I didn’t get sushi. Lastly, what do you enjoy most about working at TurboSquid? I really like that I get to play around with all these different technologies. Some days, I’m really into coding, other days, I love just taking something apart and trying to fix it; at other times I want to just try something I’ve never worked with before. I would really like to try Autodesk 3ds Max. It just looks fun to play with. 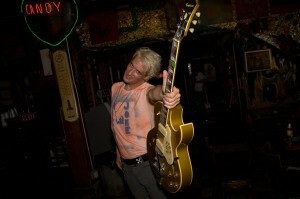 Check out the clip of Radar’s current band, Mystery Girl! Whether making our daily lives easier or on stage, this Junior System Administrator really does ROCK! Be sure to hug your Sys Admin today or simply say “thanks” for keeping your business up and running everyday. Let us know in the comments if you did anything special for SysAdmin Day this year.